In the process of never giving up, I FINALLY figured out what works to keep my skin clear. Sharing about my skin struggles is nothing new, and I know many of you can relate. For the first time ever, I have a positive relationship with my skin. What worked for me is a combination of things, not just one thing. It has nothing to do with supplements (except maybe high-quality probiotics as I always recommend those for skin health… clear skin starts in the gut) because this is way bigger than one magic pill. Trust me, I’ve tried every pill and supplement out there from Accutane, antibiotics, DIM, milk thistle, zinc, adaptogens, apple cider vinegar… the list goes on and my bank statements can verify. I won’t even list the hundreds of products I’ve tried since junior high that gave me high hopes but never addressed the actual problem. Whether it be a product or a pill it doesn’t matter, because clear skin starts from within. It’s as simple as that. You probably want it to be one magic fix, but acne is more complicated than that. I sympathize if you have or are currently experiencing acne because I know the internal emotional trauma and frustration it can cause, and how problematic skin can wash any even the tiniest sliver of confidence. UGH. I’ve always been shy, probably due to a lack of confidence that stems from my problematic skin which started back in fifth grade. I didn’t want anyone to look at my oily zit-ridden face so I was quiet in order to prevent interaction or judgement. In high school, I would visit my dermatologist twice a month for painful extractions that I would cry through every single time. Eventually, she suggested and qualified me for Accutane at age 17. One of the requirements is to be on birth control because Accutane causes major birth defects, so you can imagine how bad it was. 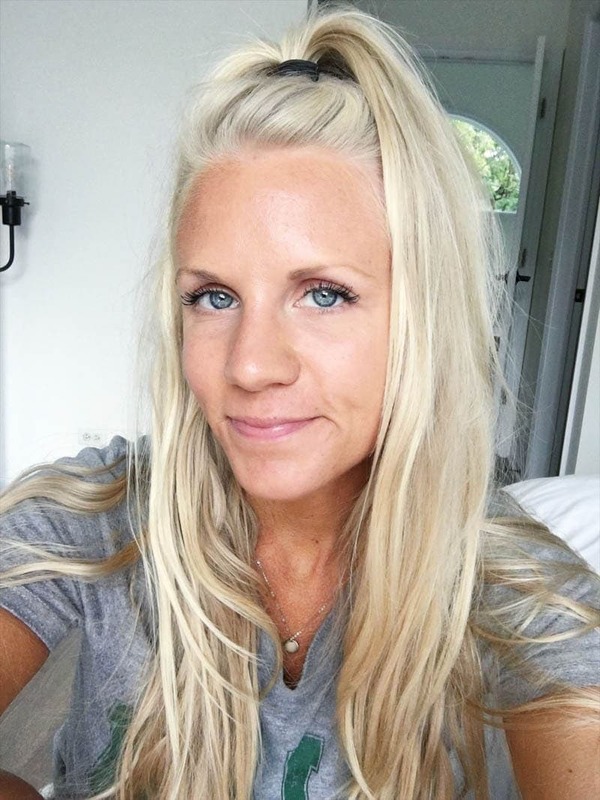 After taking Accutane for 6 months, my skin cleared up and stayed fairly clear throughout college until age 25 when I stopped the birth control pill, went vegan and started this blog… my skin went bonkers. Worse than ever before and I was back at square one. I’ve been on a new holistic skin healing journey ever since, and here I am at 29 years old. While my skin isn’t perfect, it’s finally clear and that is a HUGE accomplishment, considering much of my 20’s were accompanied by blemishes that wouldn’t go away. I’m writing this so you don’t have put your body through harsh medications or waste a bunch of money on products and doctor visits that do nothing. No one should have to deal with the confidence-sucking and emotional pain that is acne. I know this is not what you want to hear but wow, quitting sugar was hands down the best thing I’ve ever done for my skin, period (it also trimmed down my waistline and eliminated bloat, but that’s for another post). The most dramatic improvements to my skin came from eliminating sugar. What a major wake-up call! 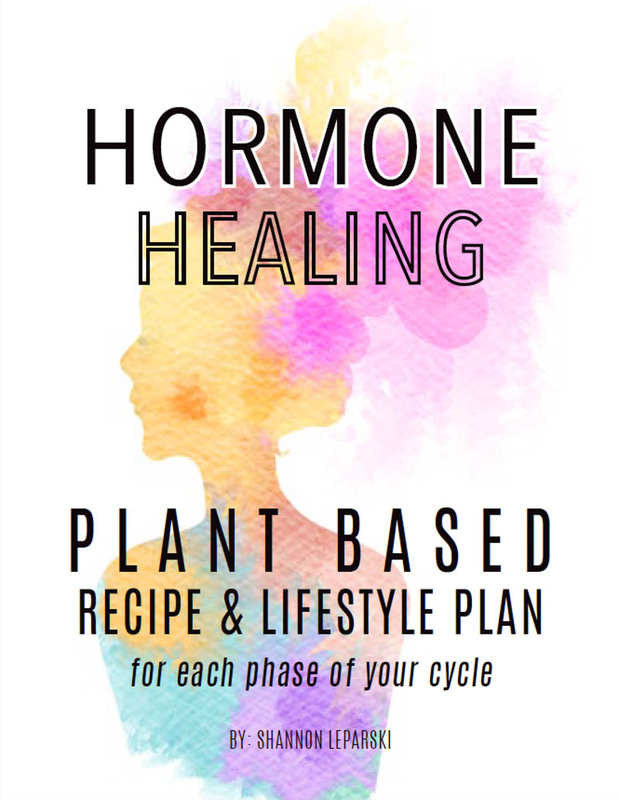 It makes me question everything I’ve ever done in the past, including Accutane, antibiotics, what I was eating during those times of my worst acne breakouts, what conventional products I was using and whether or not sugar has been the culprit all along. 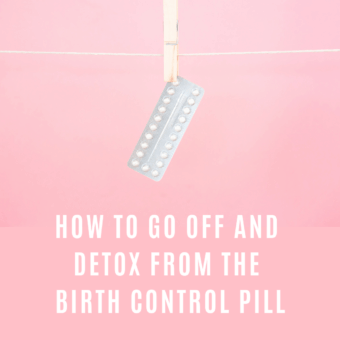 This idea is bigger than I can comprehend and I’m fairly certain I was dealing with candida in my gut as well which feeds on sugar, medications, chemicals, and the birth control pill, especially. All I know is this: I’m the biggest advocate for quitting sugar now and wish I had done it sooner. Now, I don’t mean less sugar, I mean no sugar whatsoever, for at least a month or longer. Yes, its really hard at first and it will feel like you can’t eat anything you normally eat (because sugar lurks in everything). It sounds insane and intense and you will most definitely experience withdrawals that will make you feel like a drug addict, but thats because sugar is more addictive than cocaine. 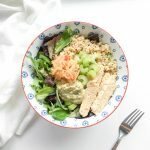 I wrote an entire post about quitting sugar and the alternatives I use but after you kick the habit, you won’t crave it like you used to and you’ll be able to control yourself, trust me. I avoid sugar now because clear skin and good health is more important to me in the long run. Quitting sugar was the hardest part of this process, but it provides the most reward. If you have jawline acne that won’t go away like I did, quitting sugar may be the BEST answer for you, on top of a healthy diet of course. Sugar sneaks its way into everything so you will have to look at every ingredient label. My recommendation is to eat real whole foods that don’t come in a box and don’t have an ingredient label! Organic fruit is okay, but stick with dark berries, apples, pears and lower glycemic fruits for the first month. And don’t overdo it on the fruit. Have berries in your morning smoothie and an apple with raw almond butter (and no added sugar) but you want to fill up on greens and veggies and healthy fats more so than fruit. No refined sugar, no honey, no maple syrup, no agave, no coconut sugar, no alcohol (!! ), at least until you’ve kicked the sugar habit. Another major benefit besides clearing up my acne is the anti-aging affects. My eyes are brighter, the wrinkles that were starting to form around the corners of my eyes have disappeared and my skin feels more plump. It keeps getting better and better too, so I’ll take it! Check out this face mapping picture below that I screen shotted from instagram. 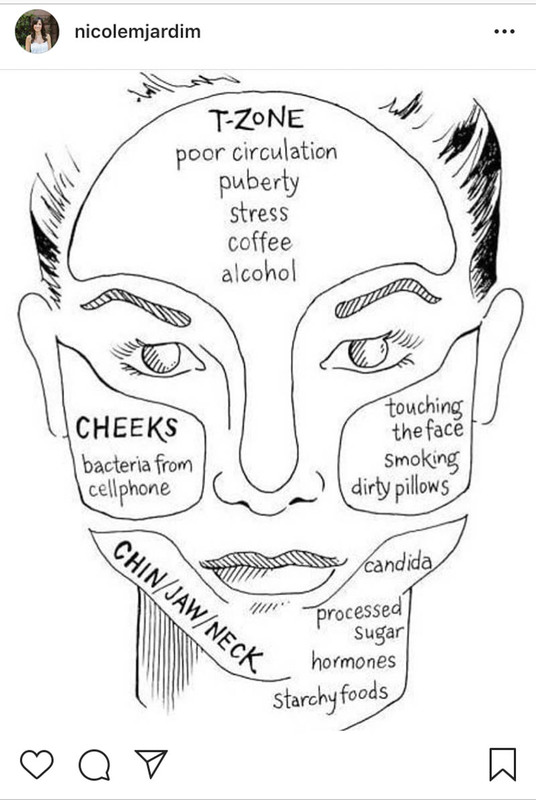 I found it to be so interesting and spot on for my jawline acne, and maybe it will help you too, since I don’t know what type of acne you are dealing with. First of all, I feel like some of my acne stemmed from not properly removing all of my makeup before bed which is why I want to talk about oil cleansing and choosing the right kind of oil for your face. I don’t think the cleansers I’ve used in the past have ever actually gotten rid of all the gunk on my face! I did try oil cleansing multiple times in the past only to break out worse, so I was terrified to try this method again but I got it right this time and haven’t used “cleanser” for the past 3 months, just oil (and no breakouts)! Why should you oil cleanse? Not only does it feel soothing and relaxing, but the oil will melts everything away, whether it’s dirt, oil or heavy makeup. This leaves you with a thoroughly cleansed fresh face. You won’t need to buy makeup wipes anymore and you can say goodbye to conventional cleansers. 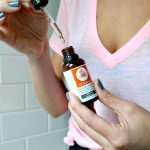 We will get to the ‘how to oil cleanse the right way’ part, but first I want to help you choose the right oil for your skin. You want to normalize the oil balance on your face. I learned this after coming across this blog post on the composition of natural carrier oils and how the different ratios of linoleic vs. oleic acid can either improve or worsen oily, acne prone skin. She says that “Acne patients have been shown to have low levels of linoleic acid in their skin surface lipids”. 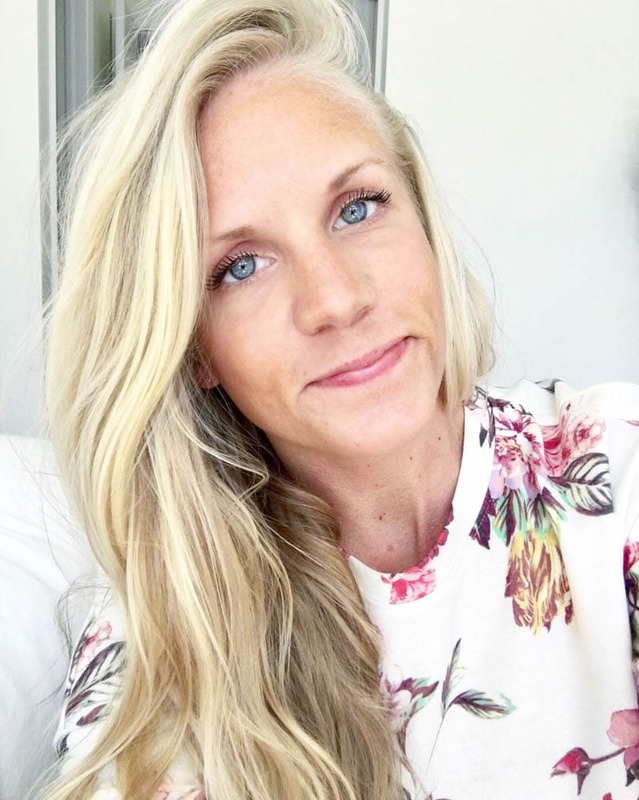 She goes on to mention that “When your skin is deficient in linoleic acid, the natural sebum on your face becomes thick and sticky which clogs pores and creates acne << this was so true for me! We can bring our skin back to a healthy ratio of linoleic vs. oleic acid by applying oils higher in linoleic acid, which are: pumpkin seed oil, grape seed oil, rose hip oil, hemp seed oil, or evening primrose oil. She goes on to mention a few more so check out that post if you are interested! 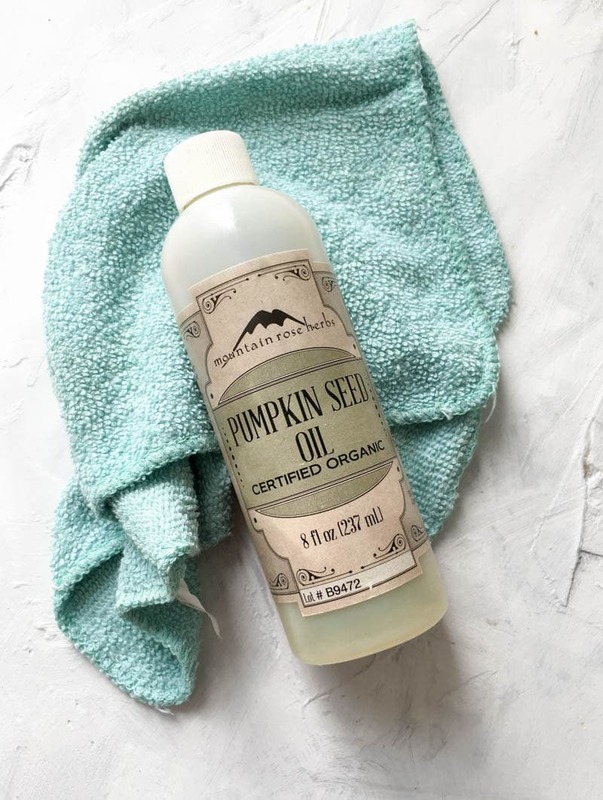 I chose organic pumpkin seed oil because I’ve heard it’s the “green gold” of oils and the fatty acid profile is amazing for acne-prone skin. Pumpkin seed oil is made up of Linoleic – 57.2%, Oleic – 23.3%, Palmitic – 13.0% and Stearic – 4.8%. I can verify that it feels like luxurious green gold and has 100% helped balance out the oil ratio on my skin – it’s truly amazing. You want to make sure whichever oil you choose is organic, cold pressed, unrefined and raw, or else it will defeat the whole purpose of proper oil cleansing. Also, if your skin is dry, flaky, and not acne-prone, I would suggest that the opposite works, so oils higher in oleic acid can help balance out your skin, like: jojoba oil, tamanu oil, argan oil or coconut oil. How To Oil Cleanse: Your face and hands must be dry when massaging the oil into your skin, in order for it to work. You really want to massage and work the oil into your skin for 2-5 minutes. I’ll either use my hands or use this Clarisonic facial massager (not the brush but the actual massager; for lymphatic drainage especially when my face feels puffy!). Give yourself the extra time before bed or in the shower, and give back to your skin. You’ll notice the makeup and grime just melt away. It’s also AMAZING at removing mascara, even if its waterproof, you just need to gently massage it away and work the oil into your lashes, and it will melt off. It’s so gentle and you aren’t pulling or tugging at you skin or eyes as you would with wipes. Next, using a warm, wet washcloth, wipe off the makeup and oil. This not only ensures that you are removing everything, but it gently exfoliates too which is necessary for cell turnover. Then you can rinse again with water using your hands, and pat dry with a clean towel. 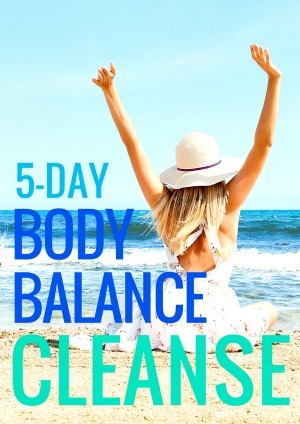 If you want to double cleanse, which I sometimes feel like doing (first time to remove makeup and second time to massage/cleanse) then just repeat the process over again. 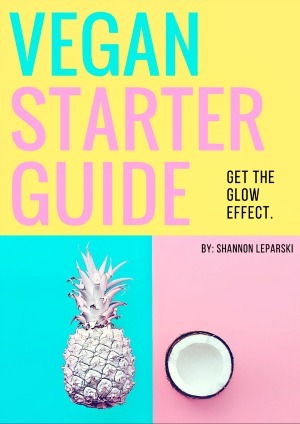 This is a big one because so many of us are drawn to packaging, what the product claims it can do, and even certain products that work for other people but maybe aren’t a good fit for you, personally. What works for your bestie may not work for your skin. It’s time to take a good hard look at the ingredients in your skincare and makeup, if you haven’t done so already. 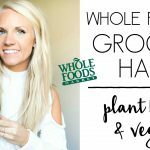 You want to stay away from the chemicals already and keep it simple! Since many products can also have endocrine-disrupting ingredients, I turn to the Think Dirty app or the EWG skin deep website. You enter in the product you are curious about and they will give you a score based on the amount of toxic or harmful ingredients residing in that product. 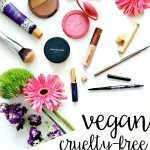 I always recommend sticking with plant based vegan skincare lines that are cruelty free, and to completely avoid brands that still perform animal testing, use animal-derived ingredients, or are laden with chemicals, as I believe it is completely unnecessary in today’s day and age! Look out for the bunny symbol on products and look at the brands website. You may have to do some digging around, but its worth finding answers. Don’t rely on the word “natural”! I love to shop on the Credo Beauty website since they carry the cleanest skincare and makeup brands around. 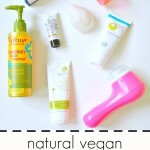 Some of my favorite affordable clean brands are: Juice Beauty, Luminance Skincare, Acure, S.W. Basics, Pacifica and Alba Botanica. Some of my higher end favorite clean brands are: Drunk Elephant, Tata Harper, Herbivore Botanicals, Biossance, OSEA, Vapour and Ren Clean Skincare. 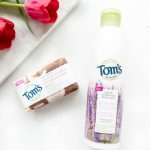 There are so many brands that are stepping up their game so it’s easier than ever to choose clean and green. Some of those pimples you see did not appear overnight (unless they are from binging on sugar! ), they’ve been coming to the surface for the past week. By doing the right things today, you are preventing future breakouts. So that means eating a clean variety of plant based foods, staying away from sugar and alcohol, drinking enough clean filtered water (from a Berkey, like we do! ), cleansing your face after exercise and using clean products, you should be on a path to clear skin. There are a few miscellaneous things you can do as well, like making sure you aren’t deficient in any nutrients by getting a full blood panel done, making sure your hormones are balanced, changing your pillowcase every couple days, pulling your hair back when you sleep (so the oils in your hair don’t get on your skin), washing your makeup brushes and sponges once a week, cleaning your phone if it touches your face a lot, and just not touching your face as much, in general! I have to thank you so much for this post, since following your recommendations here my skin is absolutely clear!! I do get an occasional spot or two (especially around that time of the month). Refined carbs yes, so nothing processed, but I definitely still eat whole food carbs like whole grains and starchy vegetables. Hope this helps! So glad you mentioned oil cleansing. I started oil cleansing about three months ago and it has completely changed my skin. I still get the occasional small blemish but otherwise my skin looks and feels so healthy. You should check out Helena Lane Skincare, it’s aaahmaazing. So about two months ago I started to get acne, I’m not even a teen, I’m 25 so I got my hormones checked but they are fine, also my food intake is the same, my doctor wont get me an appointment with an specialist because my hormones are fine but I’m still worried so I contacted a private hospital to ask for prices but I’m afraid it will be too much. Do you eat any gluten? That can also be a big hormone disrupter for a lot of people. Some people develop an intolerance and it causes inflammation in the body, some bodies way of removing it is through the pores. Also what a doctor consider so ‘normal range’ a nutritionist may not, it might be worth talking to a nutritionist. Best of luck, stay positive! I forgot to add one more thing. I agree with you about the importance of a high-quality probiotic. It’s made such a positive diffefence for me! I use Kimberly Snyder’s SBO (Soil Based Organism) probiotics. She also has digestive enzymes and Detoxy (oxygen supplement) which are also both amazing! Thank you SO much for this post!! I love reading all your tips. I have a few questions. Do you use the oil cleansing method in the morning? I’m worried my skin will be even greasier if I do this before work. Also, can you use the oil cleansing method, then use an apple cider toner and then put more oil on your face? Would that be too much? Or do you not use apple cider anymore on your face? Great questions! I use the oil cleansing method at night before bed. In the morning I just rinse with water, spray some toner on and if I’m feeling dry, I’ll apply a light moisturizer. Otherwise, I mix a light moisturizer/primer in with my foundation if I plan on wearing makeup that day. The thing with pumpkin seed oil or any oil higher in linoleic acid than oleic acid is you will not feel greasy afterward, just balanced! So no need to worry about feeling greasy before work. It seems contradictory, but once you start using the right oil for oily skin (like pumpkin seed oil) you will see what I mean. You can definitely use an apple cider vinegar toner but I wouldn’t apply pumpkin seed oil on after that because its pretty thick. I would apply something like squalane oil or mix rosehip oil in with a light moisturizer (or foundation), if you want to apply oil. Also, it would seem like the makeup is getting spread around but it’s really just pulling everything out of your pores and then you rinse it all away with a washcloth. I will say that sometimes I will double cleanse with oil if I have a lot of eye makeup on that I don’t want to spread all over my face. So I’ll oil cleanse to remove makeup, rinse and pat dry. Then oil cleanse again to massage and cleanse again. I hope this helps!